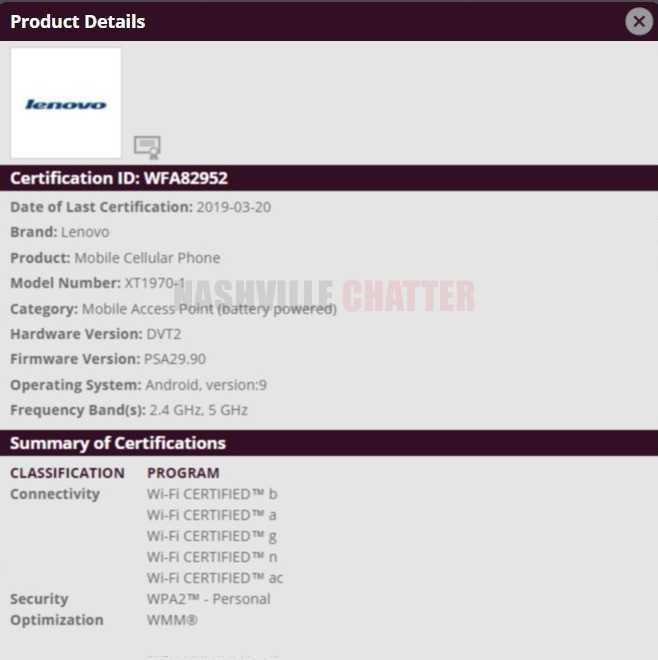 Motorola One Vision, an Android One phone from Motorola with model number XT1970-1 is gearing up for release soon and has obtained certification from the Wi-Fi Alliance agency. A few hours after we spotted the Wi-Fi Alliance certification of Motorola One Vision, the same device with model variants XT1970-1 and XT1970-2 has now been certified in FCC. The most important details revealed through the FCC documents are the measurements of the phone, screen dimensions, battery and charging specs. The phone is 72 mm wide, 160 mm tall and has a diagonal length of 169 mm which translates to 6.65-inch screen. The main display is likely to be around 6.2-inches which pretty much confirms the claims made in the CAD renders of Motorola P40. The battery model number is KR40 and has a capacity of 3500 mAh. The phone supports a maximum of up to 18W fast charging. Motorola has already released two Android One phones namely Motorola One and Motorola One Power and One Vision is the third phone that will join the Motorola One lineup. Motorola One Vision has an internal codename of “Robusta2” and the different model variants of this phone known so far are XT1970-1, XT1970-2 and XT1970-3. The phone will launch with Android 9 Pie as the operating system, as confirmed by the Wi-Fi Alliance certificate. Motorola has decided to use Samsung’s Exynos chipset for this phone. The processor in Motorola One Vision is the Exynos 9610 SoC, which is a 10nm processor developed by Samsung. This processor has four Cortex A75 cores which clock at a speed of 2.3 GHz and four Cortex A53 cores which clock at 1.6 GHz. This is supported by ARM’s Mali-G72 GPU. Moto One Vision will come in two RAM variants namely 3 GB and 4 GB and internal storage variants will be 32 GB, 64 GB and 128 GB and will be available based on the countries the phone will be released in. The battery in Moto One Vision is 3500 mAh, which is larger than the most of the phones in the recently released Moto G7 lineup except Moto G7 Power which had 5000 mAh. There will be a single 48 MP rear camera thought it won’t be able to capture great 48 MP shots since the default picture-taking resolution is just 12 MP. The cameras may be equipped with two new features namely Video 3D HDR and Long Exposure. The display of Motorola One Vision will probably have a 21:9 aspect ratio and the resolution will be 2520×1080 pixels. The Chinese version of Moto One Vision is likely to be called as Motorola P40 in China. CAD renders of Motorola P40 have shown a 6.2-inch punch-hole display, like the Galaxy S10, but placed on the left side. Another Moto phone with codename “Troika” will also use Samsung’s Exynos chipsets and these two will be the first Motorola phones to use Exynos chipsets.